(Natural News) The possibility of developing autism does not end once a child is born. They are still continuously exposed to harmful substances, such as neurotoxins, that could put them at risk of developing the condition. To protect children from autism, natural products are now being explored for their ability to prevent neurotoxicity. A study, conducted by researchers from King Saud University, was able to show that bee pollen has potential use in treating autism since it could ameliorate the effects of neurotoxins. Infants are especially susceptible to the harmful effects of chemicals in the environment since they are still in their development stage. Upon exposure to certain chemicals, developmental processes may be hindered, which is worrisome since later stages are dependent on successfully accomplishing early stages. In particular, different developmental processes and brain regions may react differently to chemical exposure, and the amount of time the infant is exposed to a chemical also affects what kinds of effects the chemical has. Problems with infant brain development can lead to autism. Patients with this condition have trouble communicating and socializing with other people. Since autism is a spectrum disorder, the people who have it exhibit different combinations of symptoms, which can range from severe to mild. One chemical that has recently been associated with autism is propionic acid, which has been shown to cause behavioral, neuropathological, and biochemical abnormalities. Bee pollen is a promising candidate for the treatment of autism because of the many bioactive substances that it contains. This natural product comes from pollen that has been transported and stored by the bees in their hive so that it could serve as their food. Over 250 active substances, including flavonoids, enzymes, and antioxidants, have been found in bee pollen. These compounds can be attributed for bee pollen’s antimicrobial, anti-inflammatory, immunostimulating, and detoxification activities. In this study, which was published in BMC Complementary and Alternative Medicine, the researchers looked at the ability of bee pollen to improve acute and sub-acute neurotoxicity. This was evaluated in male western albino rats with propionic acid-induced neurotoxicity. Parameters used to evaluate neurotoxicity include neurotransmitter, interferon gamma (IFN-gamma), and caspase 3 levels. Administration of propionic acid led to a decrease in neurotransmitters, specifically dopamine, serotonin, and noradrenaline. These neurotransmitters are responsible for brain functions like cognition, attention, sensory perception, and movement. In addition to this, the researchers also observed an increase in IFN-gamma and caspase 3 levels. IFN-gamma marks inflammation while caspase 3 is a marker for apoptosis. Together these indicate damage in the blood-brain barrier. It was observed that rats treated with bee pollen were able to reverse the aforementioned effects of propionic acid. The increase in neurotransmitter levels could be attributed to the presence of their precursors, like tyrosine and tryptophan, in bee pollen, making it possible to produce more of the neurotransmitters. Meanwhile, the antioxidant effects of flavonoid and anti-inflammatory activity of bee pollen led to the reduction of caspase 3 and IFN-gamma levels, respectively. 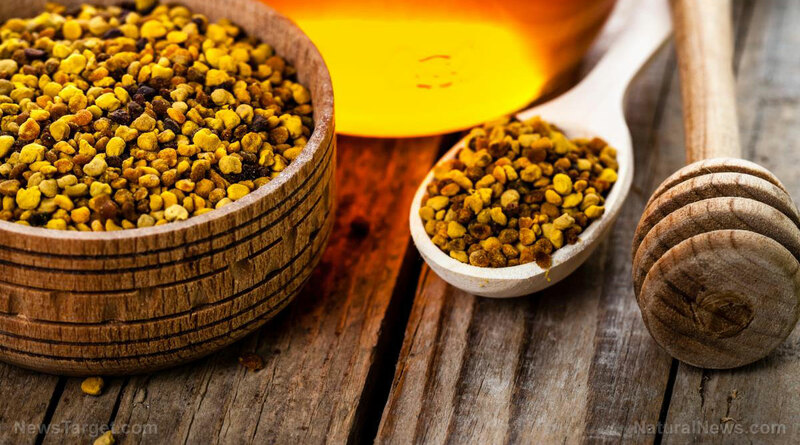 Learn more about the other benefits of bee pollen by visiting Cures.news today.